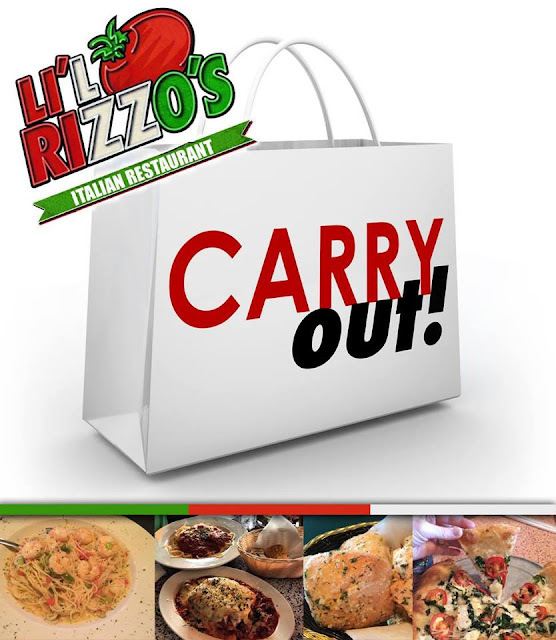 3 Reasons to Get Li'l Rizzo's To-Go! At Li'l Rizzo's, we have two of the best Italian restaurants at the Lake of the Ozarks. While we love for you to come in and sit down for a delicious meal, we know that sometimes you just want to get carry out and go home to enjoy your favorite food. Here are three reasons we think takeout is an awesome choice! Takeout can make your life easier in so many different ways. It's perfect for business meetings, busy nights when you don't want to cook, those times when guests come over and you don't know what to fix, or just those days when you want to sit on the couch in your pj's and eat a dish of your favorite pasta. We know these times come up, so that's why we've provided a delicious takeout option for you and your family. All your favorite pasta, pizza, appetizers and more could be yours in the comfort of your own home! Spring training kicks off this week, and we couldn't be more excited! The only thing that can make up for football season ending, is knowing we're sliding right into baseball season. 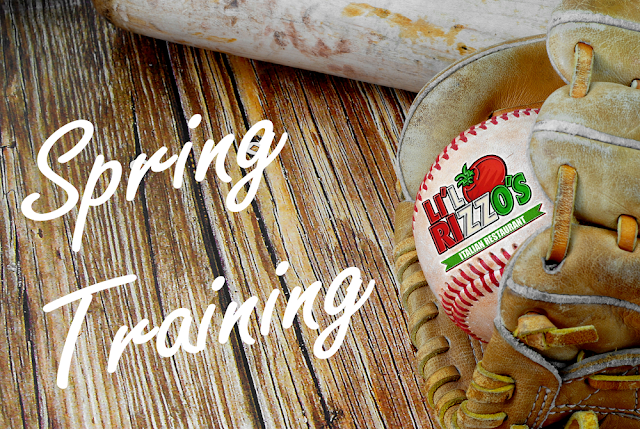 You better believe that we'll be watching every game at Li'l Rizzo's, from spring training right on through regular season! If you plan on watching any of the games this season, check out these reasons why you should watch them at the best Italian restaurant at the Lake of the Ozarks. Watching baseball just isn't the same unless you have a cold one in your hand. At Li'l Rizzo's, you can choose from several draft choices and nearly 15 bottle varieties to choose from, so a cold one is never far away. In addition to our wide beer selection, we also have a fully stocked bar! Watch your favorite team and enjoy a tasty drink at the best sports bar at the Lake of the Ozarks. 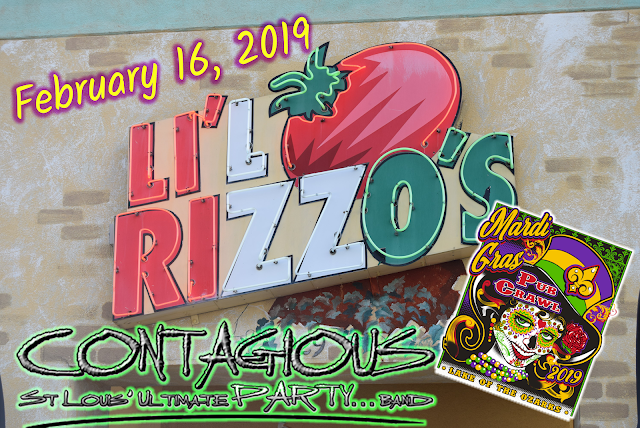 Check Out Contagious During Mardi Gras Pub Crawl at Li'l Rizzo's! It’s almost here! The Mardi Gras Pub Crawl is just around the corner, and we can’t wait to celebrate. Saturday, February 16, Li'l Rizzo's is celebrating Mardi Gras! Grab your masks and don’t forget your beads because the best Italian restaurant at the Lake of the Ozarks is participating in the annual Mardi Gras Pub Crawl. There are more than 17 stops at this year's event and Li'l Rizzo's couldn't be more excited to be one of them. Li'l Rizzo's Specials You've Got to Check Out! With gourmet pizza, pasta, world-famous house salad and legendary service, there are many reasons to enjoy a meal at the best Italian restaurant at the Lake of the Ozarks. Besides our amazing food and service, we also have great specials throughout the week. 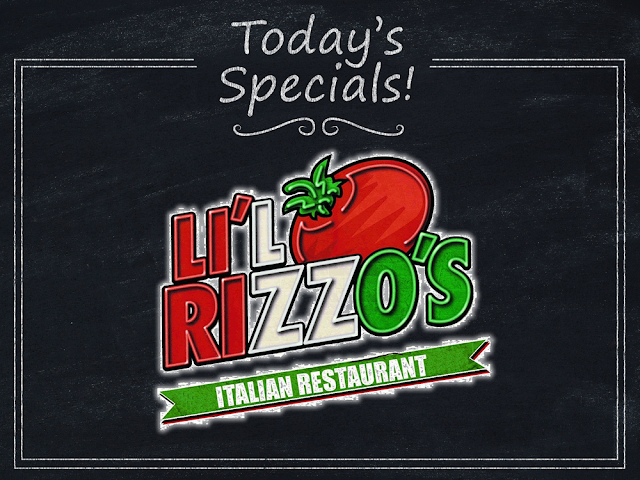 Check out the fantastic specials we're running now through the end of April at Li'l Rizzo's! Happy Hour Every Week Day Join us for the best Happy Hour at the Lake of the Ozarks Monday through Friday from 3:00 - 6:00 p.m. During Happy Hour at Li'l Rizzo's, you can enjoy specials on drinks and all your favorite appetizers at half price! From our delicious spinach, green chili & jalapeno dip to the traditional bruschetta, all of our mouthwatering appetizers are half priced during the Lake of the Ozarks best Happy Hour! What does your favorite pizza say about you?